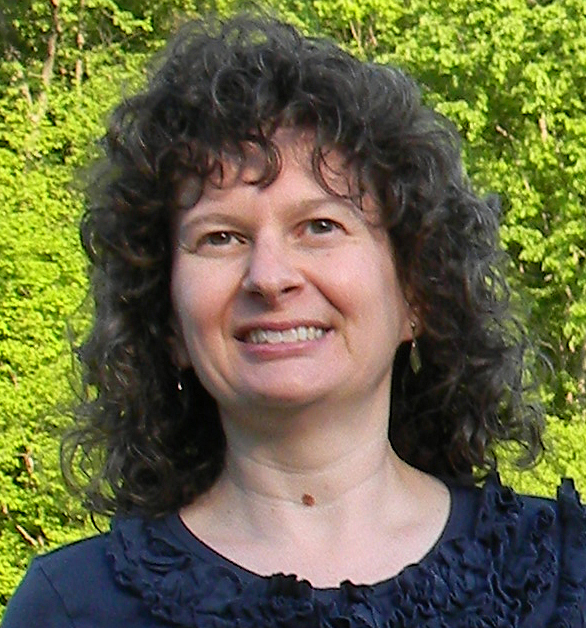 Today I’m welcoming Kim Rendfeld to my series of author interviews. 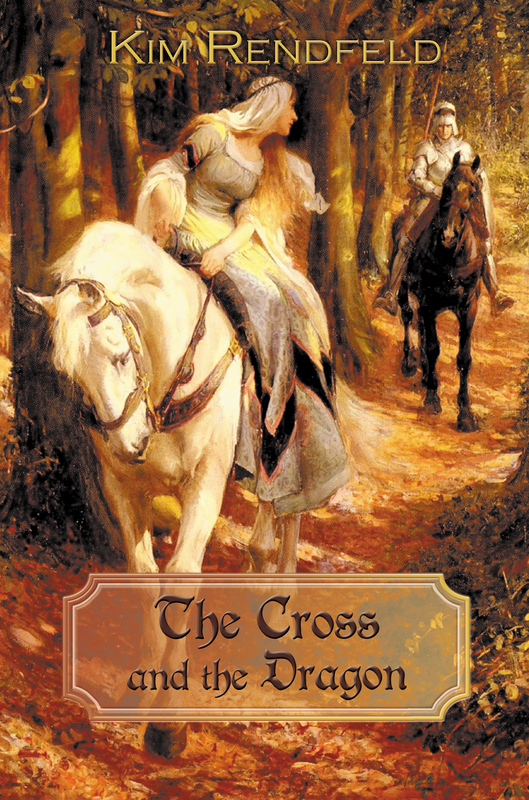 Kim is the author of The Cross and the Dragon, a historical novel of the Middle Ages. Elizabeth: Kim, how would you describe your book to someone who hasn’t read it? Kim: The Cross and the Dragon is a tale of love amid the wars and blood feuds of Charlemagne’s reign. Here is the blurb. Francia, 778: Alda has never forgotten Ganelon’s vow of vengeance when she married his rival, Hruodland. Yet the jilted suitor’s malice is nothing compared to Alda’s premonition of disaster for her beloved, battle-scarred husband. Although the army invading Hispania is the largest ever and King Charles has never lost a war, Alda cannot shake her anxiety. Determined to keep Hruodland from harm, even if it exposes her to danger, Alda gives him a charmed dragon amulet. Is its magic enough to keep Alda’s worst fears from coming true—and protect her from Ganelon? Elizabeth: The Cross and the Dragon derives some of its characters and much of its storyline from the French legend The Song of Roland. Can you tell us what drew you to that story and how you decided to make it your own? Kim: A German legend about Roland (Hruodland in The Cross and the Dragon) drew me to The Song of Roland as I tried to figure out who Roland was. The epic French poem says a lot about courage in the face of overwhelming odds, but it should be appreciated for its artistic merit rather than historical value. Any resemblance between the events in the poem and what actually happened at the Pass of Roncevaux is purely coincidental. I used some of the characters from The Song of Roland. My hero’s name is a variant of the namesake of the poem. I used the German variant of Oliver, Alfihar, as Hruodland’s best friend, and Alda, Alfihar’s sister, as Hruodland’s love interest. The villain in the poem, Ganelon, has the same name. Interestingly, the poet who wrote The Song of Roland might have named his villain after Guenelon (also spelled Vénilon), a ninth-century bishop of Sens accused of betraying one of Charles’s grandsons. When I sat down to write the novel, I wanted my interpretation of the disastrous ambush at Roncevaux in 778 to be truer to the history and to still use the German legend. Elizabeth: Tell us more about what really happened with the ambush and the German legend. Kim: What I’m about to say is a spoiler, so readers who would like to avoid it should go on to the next question. The ambush was a true disaster for Frankish King Charles, today known as Charlemagne. It was so traumatic that it was not written down while he was alive. Charles’s invasion of Spain did not go according to plan, but he was able to save face when Muslim Saracens gave him gold to leave. As the Franks retreated through the steep mountain passes of the Pyrenees, Christian Basques (also known as Gascons) ambushed the rear guard and baggage train, killing everyone. Einhard, Charles’s biographer, lists Roland among the dead. 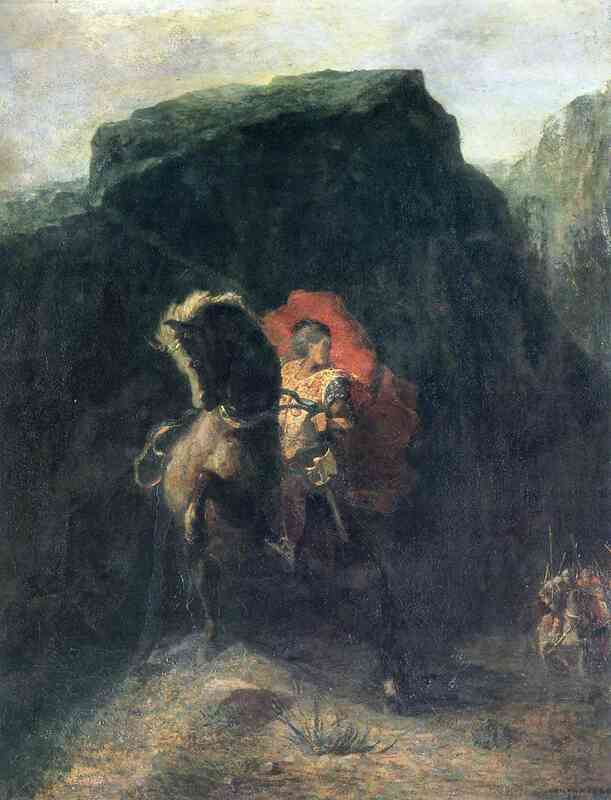 The German legend, however, has Roland surviving the attack and returning to a castle on the Rhine that he had built for his bride. But she was not there. When she’d heard he had died, she took a vow of chastity and joined the convent on the nearby Rhine island of Nonnenwerth. Roland spent the rest of his days at a window in the castle, hoping to catch a glimpse of her as she walked to and from prayers. This legend is not true. Elizabeth: How much historical fact is woven into your novels? Kim: I try to stay as true to the history and the culture as possible. All those wars in my book are real. I didn’t make up King Charles’s complicated personal life—at the start of my story, he’s going to war with his ex-father-in-law, who is threatening Rome. And I would never have a medieval woman refuse to marry a guy because she is apathetic toward him. Marriages were arranged, and for aristocrats, the primary reasons were wealth and alliances. However, the key word in historical fiction is fiction. If I stuck only with what is known about the historic Hruodland, I would not have a story. The only factual mention of him is part of a sentence in Einhard’s biography of Charlemagne. Any interpretation of Roland is going to be fictitious. Besides, I am a novelist, not a scholar. I make stuff up and make it sound real. But I also believe in including historical notes so that I can confess where I lied. Elizabeth: What are you working on now? Kim: My next project is The Ashes of Heaven’s Pillar, which is about a peasant Continental Saxon woman who has only her children left after losing her husband, her home, her faith, and even her freedom. It’s a story of familial love, betrayal, vengeance, forgiveness, and recovering from devastation. Many of the historical events in The Cross and the Dragon take place here, but they are from a markedly different perspective. Elizabeth: Enough about your books, tell us about yourself. Kim: If it weren’t for feminism, I would be one of those junior high English teachers scaring the bejesus out of her students, correcting grammar to the point of obnoxiousness. Instead, I earned my English and journalism degree at Indiana University and pursued a career as a journalist at daily newspapers in the Hoosier State. My career changed in 2007, when I joined the public relations team at Ball State University in Muncie, Indiana. I’m paid to agonize over commas and hyphens, along with suggesting ways to improve writing, and thoroughly enjoy it. Yet, I’ve never outgrown my fascination with folk tales and legends, which led me to write novels. Elizabeth: How do you think being a journalist has helped and/or hindered your career as a creative writer? Kim: As you’ve indicated in your question, journalism is both a help and a hindrance. The time and space constraints of journalism taught me to get to the point. Maturing as a writer made me care more about the readers understanding the story than showing off my cleverness. I also had to unlearn some habits. News writing is an objective report that allows both sides to tell their stories and lets the readers make their own conclusions. By nature, it’s distant. Fiction is intimate. You want the readers to feel your characters’ joys and sorrows. You want to manipulate sympathy and emotion. Perhaps my experience as a journalist also compels me to include historical notes. I want readers to know the truth. Kim: Coffee in the morning, tea in the afternoon. Kim: A toughie, since we have neither in Indiana. Ocean, I guess. Kim: Hiking. Shopping is so frustrating for me. Kim: Piano, but I like violin, too. Kim: Fantasy. But there are times when I’m in the mood for mystery. Kim: An easy one. Definitely Darcy. He turns out to be a good man. Read all of Wuthering Heights, and you find out Heathcliff is a monster. The Cross and the Dragon is available in print and e-book from Amazon, Barnes & Noble, Kobo, and other outlets. For more about Kim and her fiction, visit her website or read her blog. You can like her on Facebook, connect with her on Goodreads, follow her on Twitter at @kimrendfeld, and check out her Amazon page. Thanks to Kim for joining me today.